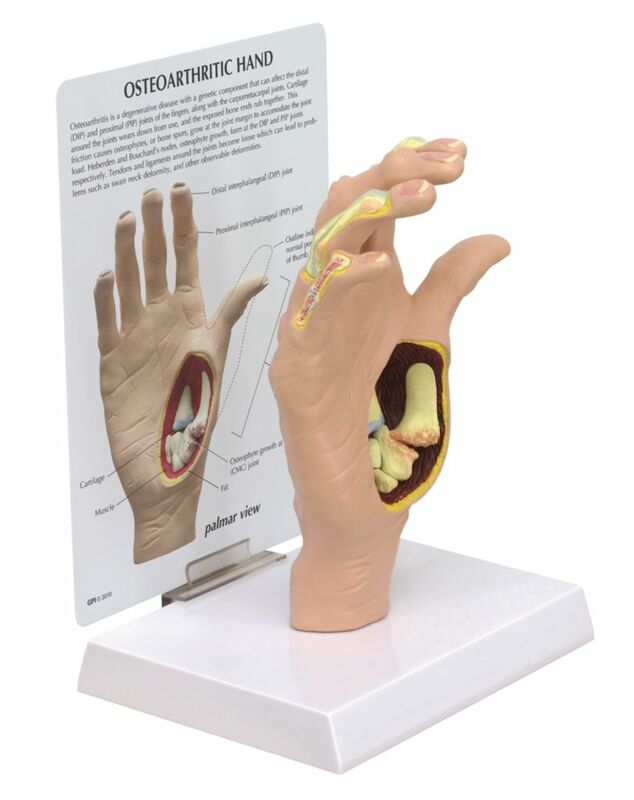 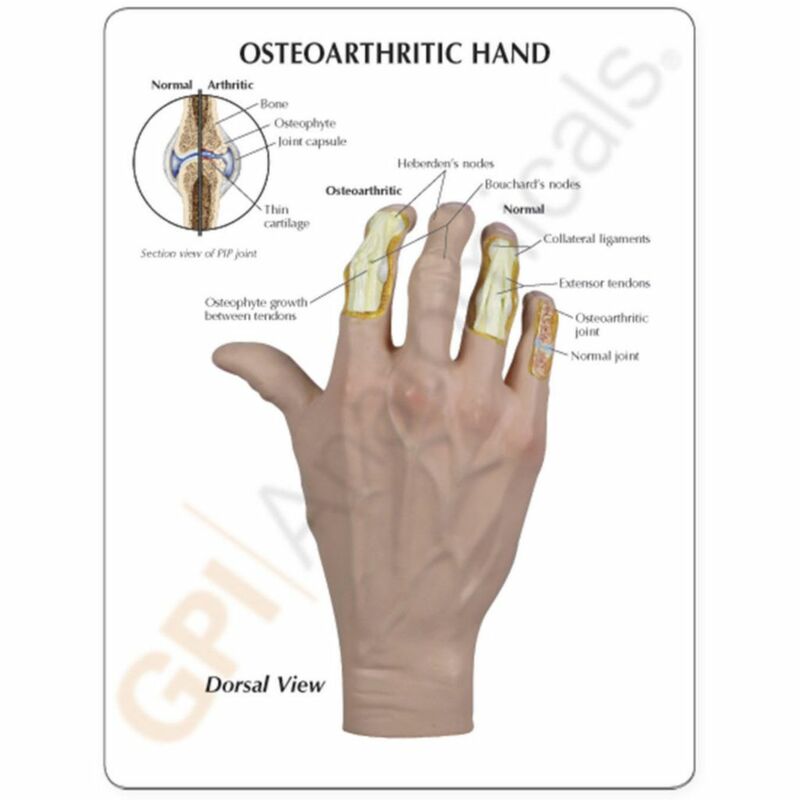 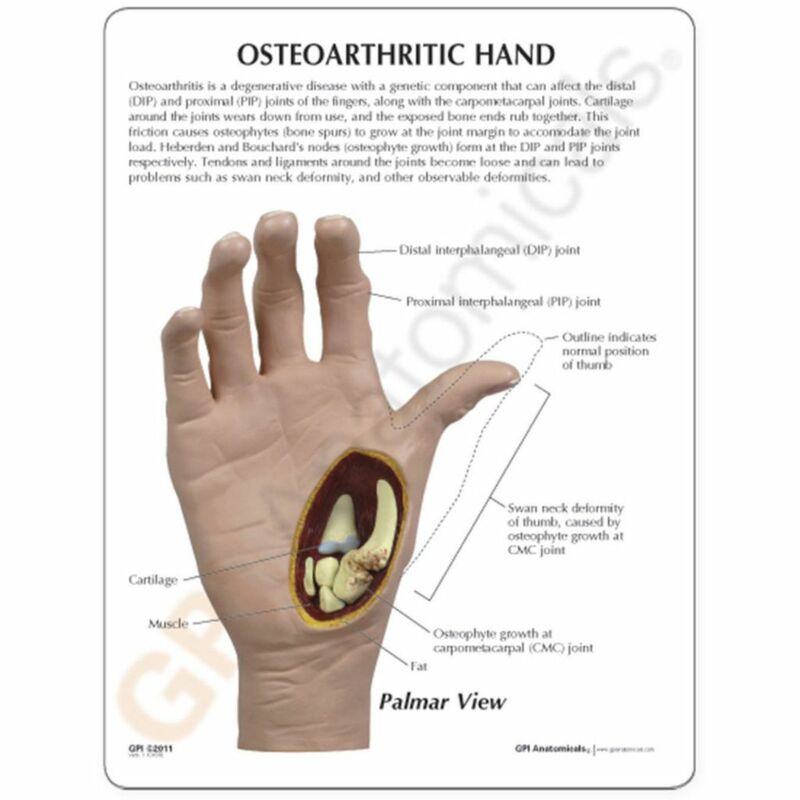 Full size right hand with cutaway views to reveal effects of osteoarthritis, including: osteophytes (bone spurs), Heberden’s and Bouchard’s nodes, and swan neck deformity of the thumb. 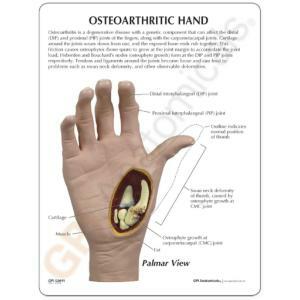 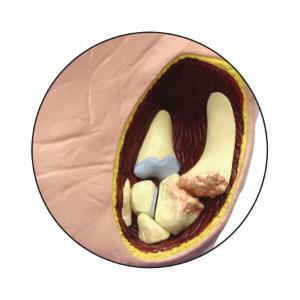 Shows other anatomy affected by osteoarthritis: ligaments, tendons, muscle, and cartilage. For comparison, normal anatomy is also shown.